At the turn of the 20th century, a visitor to the Congo might witness all kinds of horrors: Chained prisoners, executions (real and staged), long lines of porters, soldiers “pacifying” villages, ivory traders, rubber collectors, concubines and missionary sermons. At the time, it was considered nothing to be ashamed of. Just another day in the life of the Congo, captured on postcards for posterity. There is hardly a subject that was off-limits for these postcards of the Congo Free State and (as it was known after 1908) the Belgian Congo. Picture postcards began making their appearance worldwide around the turn of the century and sparked a huge craze, with collecting societies established and millions of cards printed annually. In the early days of mass mechanical reproduction of photographic images, these cards were a window to the world – at least, a version of the world as packaged for Western consumption. These early years of the 20th century also saw what has been called the first modern international human rights campaign. E.D. Morel, Roger Casement and the American missionary William Sheppard began to expose a vast system of forced labor in the Congo, one imposed with widespread killings and mutilations. 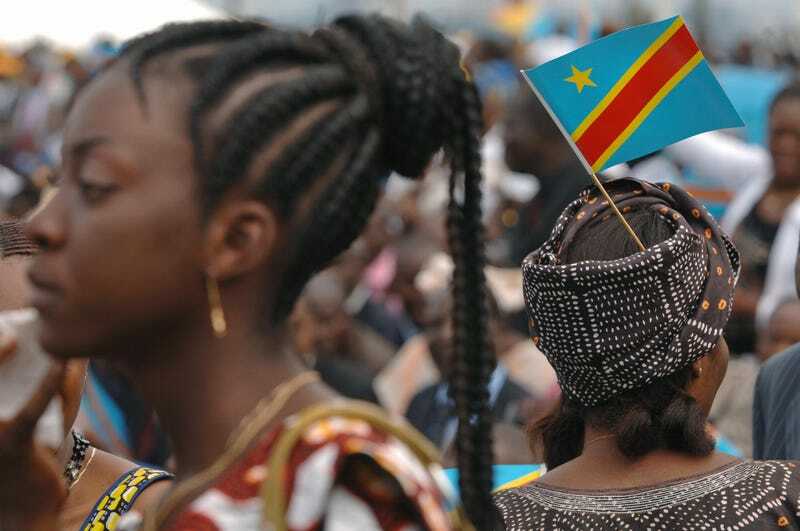 By 1908, it is now estimated, millions of Congolese were dead or displaced. The images used for Congo postcards during the first 25 years of the century were, for the most part, taken by anonymous traders, colonial agents and travelers. Many were used and reused in postcards and other publications for a decade or more. The cards were mailed by travelers and agents, taken home as souvenirs and coveted by collectors. They provide a rich trove of imagery from an area that was not otherwise well-documented in photos, and in fact had only been deeply explored by outsiders beginning in the 1870s. I began collecting postcards of Congo in the early 1990s, after traveling in what was then called Zaire (now the Democratic Republic of the Congo). At first, they were hard to find, as I picked them up here and there from stamp dealers or at postcard shows. The age of eBay changed all that and now literally thousands of cards (along with other colonial detritus) can be found on sale at auction sites—notably a Belgian site, Delcampe.net. The following images are taken from a personal collection of a few hundred cards. With such a range of topics, the possible combinations are endless; the following selection focuses on cards where Africans and Europeans appear together. Individually, the images can be considered in a number of ways: as historical artifacts, as curiosities, as objects of aesthetic interest. Like all old photos, they can be richly evocative, and in this case, part of what they evoke is aspects of the relationship between colonial masters and subjects. Thousands of postcard images of the Congo were published over a few decades. Each is the result of individual decisions (what the photographer chooses to photograph and then submit; what the publisher chooses to publish) but each decision reflects a colonial world view – photos taken by agents of empire for consumption by the beneficiaries and spectators of empire. Collectively, they comprise what has been called an “image world” – a constructed Congo that intersects, but is otherwise separate from, the actual place. Look at my collection of Congo postcards. Rick VanderKnyff is a writer and editor who lives outside Seattle. He has studied colonial-era imagery of the Congo region and wrote about stereographs recently for African Arts.